There may still be a couple of weeks left before 2014 becomes history, but Google has today shared the top searches of the year, showing us what people and topics were on our minds as we used the world’s most popular search engine. The report was previously called ‘Zeitgeist’, but this year Google has given it the more vanilla moniker ‘Year in Search.’ It’s a mixture of ‘trending’ and ‘most-searched’ lists. Trending lists feature searches that had the highest spike in traffic over a sustained period in 2014, versus 2013. Most-searched charts are based on sheer volume of searches throughout the year. While you may have expected Ebola or the World Cup to top the list of ‘Global Tending Searches’ this year, they took third and second place respectively, behind Robin Williams, whose death shocked the world in August. 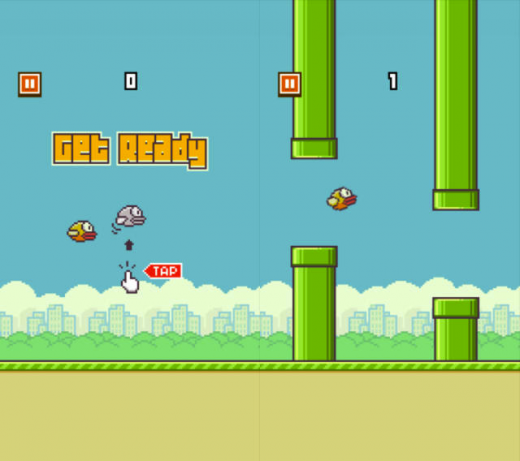 Tech-wise, squeezing into the top ten list, the game we all got addicted to for five minutes before giving up in frustration – Flappy Bird – is number six. Tech and digital dominated trending searches for US IPOs, with Alibaba’s record-breaking September offering topping the charts. GoPro, King Digital, Castlight Health, Weibo, Coupons.com, HubSpot, LendingClub, and GrubHub all made the top ten. In fact, Virgin America was the only non-tech/digital IPO in the top 10. In the worldwide top ten of consumer electronics searches, the iPhone 6, Samsung Galaxy S5 and the Nexus 6 took the one, two and three spots respectively. The Moto G, Samsung Note 4, LG G3, XBox One, Apple Watch, Nokia X (an interesting entry) and iPad Air, complete the list. Finally, the most popular Google Doodle of 2014 was the one we’ve screenshotted above – an animated edition from the World Cup, in which the Google letters switch from watching a match to boring spreadsheets when their boss, a letter ‘B’, walks past. One bugbear here – these reports always come out mid-December, missing out on the final weeks of the year. What if something huge happens this week or next? How about an updated version on New Year’s Day, Google?